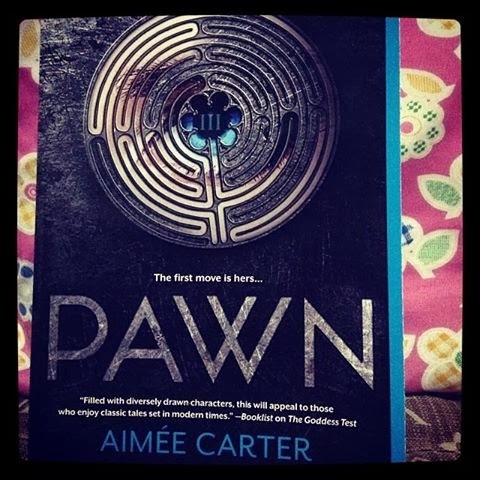 Since the day I saw this on NetGalley, I’m curious and confused, why Pawn? That’s a chess piece isn’t it? That was my first question. I was granted a paperback copy of this and I admit it’s pretty I love the cover I didn’t notice the trick there right away I just looked closely and I found that it has an eye. The book is full of surprises, it gave me a lot of goose bumps as in from head to toe! The revelations are great, I didn’t expect or guess those things to happen it was really astonishing. The transformation of Kitty Doe to Lila Hart is really one of the things I like the most, it’s a soulless job but they did what they need to do so I don’t blame either of them. But from there, the twists and turns are tremendous. The secrets that lies behind are revealed and they are ready to kill each other just to gain the power they want. Its revenge and power at the same time and it is very complicated. The book for me is like a political war. If you guys read The Hunger Games by Suzanne Collins, Divergent by Veronica Roth and Black City by Elizabeth Richards, you can relate here. It doesn’t have anything to do with monsters stuff, it really pertains to a government who is selfish. I personally like these kinds of books. Rebellion? It’s cool. I like every part of it, and don’t get me wrong it’s like a puzzle everything is jumbled and you have to solve things and you have to know who will stay alive, sacrifices. Now I think of this as a chess game. Kitty Doe took her exam and she got III. It’s one of the low standards in the government. She refused to accept the fact that she will leave Benjy behind so she tried to do other things that can help her stay. She doesn’t have parents except for Nina who took care lots of children in what like an orphanage. It is where Benjy and her live. She was forced to come with Daxton Hart, the prime minister. Leaving Benjy behind and hoping for a better life. But when she woke up, everything changed. Her physical feature, her life, her home, all was left was she being Lila Hart. For me it is really cool. Everything is and I missed reading this kind of book. I want to suggest to other readers that they should try to read this. One thing is that, I hope there’s a separate story of Lila Hart. She’s the missing piece ever since. I hope too that the book two will be out soon! Coz I want to know what will happen between Kitty Doe and Daxton. Will everything change? Or will it go back to where it started? I got thrilled at the ending! A must wait. Find her on Twitter at @aimee_carter.